Ya it sounds kinda of silly, but I remember watching Voltron when I was younger. Dave –> the guy who sets up our weekly google hangouts comes up with the names for them. I happened to have watchted Voltron when I was younger so I kinda like the name. For those of you that never seen Voltron you don’t know what you missed. Here is short clip from it. …Marketing online is so much more fun when your working with people you like. I searched for years for a business opportunity online where I could really say it felt like I was at home. In everything I ever did online the one piece that was always missing from all the different business opportunities was the actual knowledge of ” how to market ” . You wouldn’t think that would be true, but let me tell you it is. I have heard people say that the people in empower network who make money don’t even use the blogging platform..
Just so you know I blog practically every day in my empower network blog . 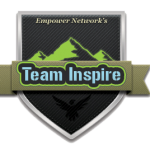 That’s because I joined empower network for the opportunity to blog on their platform. It really wasn’t until I got inside the product did I actually start to realize just how complete the coaching & training was. You can clearly tell that all the training is done by top rate online marketers who get results in their businesses. Because of their knowledge I’ve increased my own income. I spend years doing all the wrong things. It was a very expensive lesson I had to learn. That’s okay though, it’s all part of learning and growing. You don’t have to go through the same crash course I did. You have the chance to finally get the information that is transforming lives. Click the banner below and get started with us. 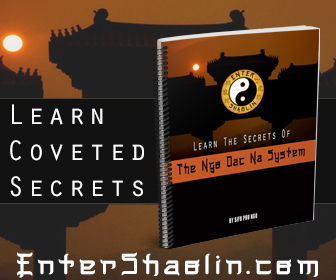 At the very least I encourage you to come in at the basic level this will get you in our private fb group as well as our private team training site. You really have nothing to loose and everything to gain. Hi thanks for putting up the Voltrn video, u really took me back to time when i was still learning the ropes in my life. 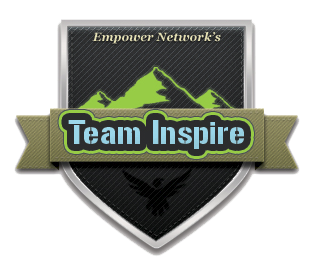 Great article on team inspired. Voltron reminds me of the Gundam series. If I’m not mistaken, voltron was the robot in the hit japanese animation Voltes V right? I still remember singing along to it. Thanks for taking the time to write this. I somehow want to be part of your gang. I’ll definitely look into it some more. Thanks for posting. That video remind me of a very dear part of my life. Furthermore, it seems you discovered something very useful here and I will make sure I look into it in the future. Thank you.